Provides students with the education to provide guidance to people who are confronted with crisis or uncertainties. Students learn to offer support and resolution guidance through a spiritual context. The student will review a whole range of opinions concerning the place of counseling in the local church. 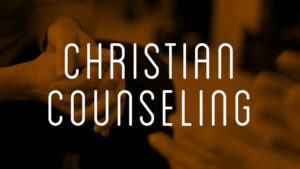 While acquiring a knowledge base for the development of a counseling stratagem in his/her own church, the student will become familiar with the practices and techniques of training others. At some point in ministry, every pastor and Christian counselor will find himself in counseling situations. This course approaches several delicate areas of counseling from an empathetic and compassionate perspective. The days of long term psychoanalysis are considered over by many in the counseling profession. This course addresses the benefits and disadvantages of short term counseling lasting 6 to 8 weeks; it provides a systematic approach to accomplishing essential steps in the counseling process between client and counselor. A taped course in the style of Dr. Dana Carpenter. This course covers probably the most controversial book in the Bible. The Song of Solomon is often misunderstood and misinterpreted even to the point that many would like it removed and declared non canonical. Obviously, the Song of Solomon is a God-breathed marriage relationship handbook. Designed to help the student uncover the roots of evangelical Christianity by looking critically at beliefs and practices of contemporary evangelicalism that are out of harmony with historic Christianity. The text examines the era of the early church (A.D. 100-500) and particularly the second century offering insights that evangelicals need to recover for worship, theology, mission, and spirituality. This course offers a wealth of up-to-date information in the Gary Collins style. It is a course offering examinations of basic therapeutic skills and practices. The student will learn how to listen and observe in order to let the counselee express inner thoughts and blockages.